Queen things! 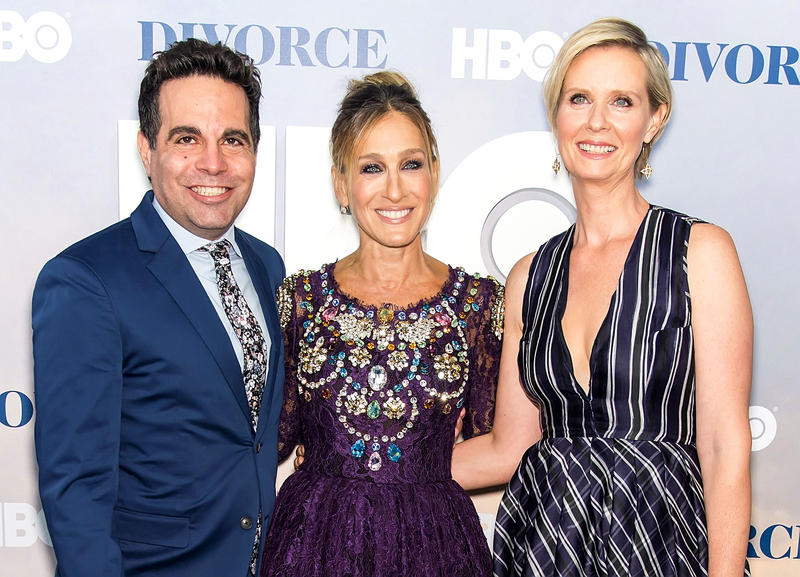 Sarah Jessica Parker looked like legit royalty in a purple jeweled dress for the Divorce premiere in New York City on Tuesday, October 4. The actress, 51, floated on the red carpet in a deep purple lace Dolce & Gabbana midi dress sprinkled with an assortment of rhinestones on the bodice, which she paired with bronze pumps from her SJP Collection shoe line. Since the number already had so much sparkle, she accessorized with a few rings and understated drop earrings that were visible with her high bun. Parker, who was joined at the premiere by husband Matthew Broderick, snapped a picture of her longtime hairstylist, Serge Normant, posing with a poster of her and her Divorce costar Thomas Haden Church. “Well, there were three of us in this marriage, so it was a bit crowded,” she joked. PHOTOS: Sarah Jessica Parker's Fabulous Footwear!